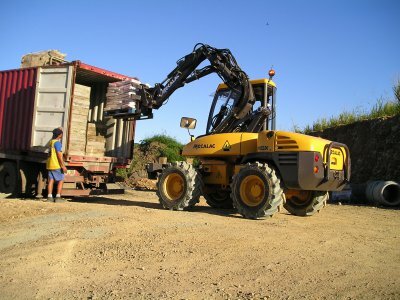 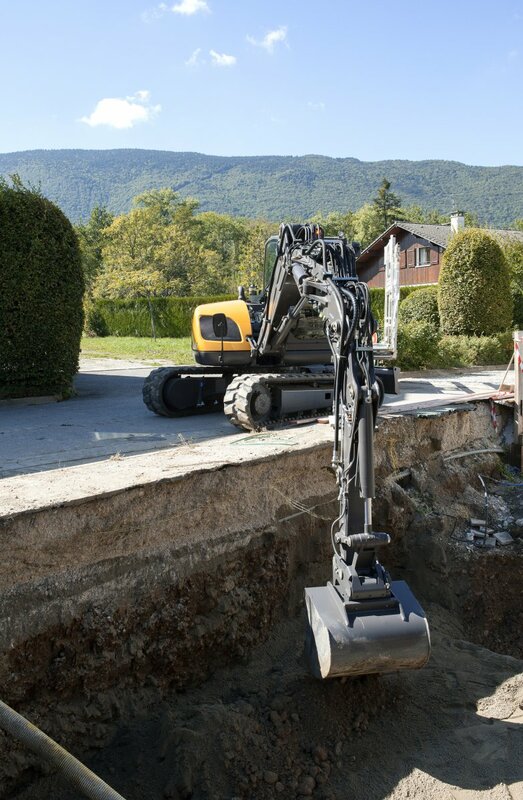 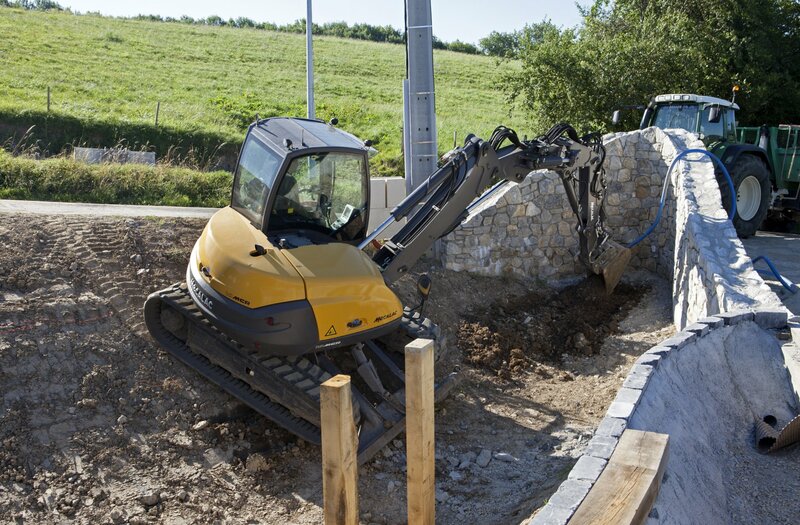 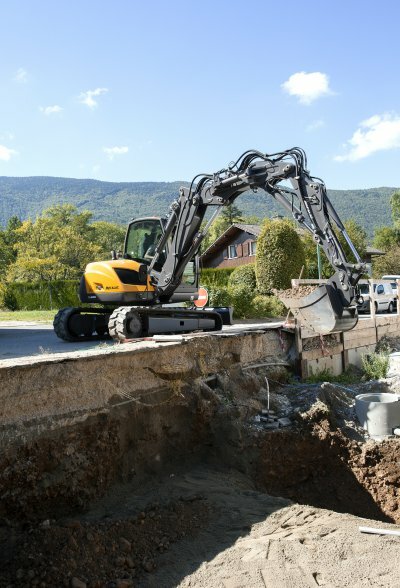 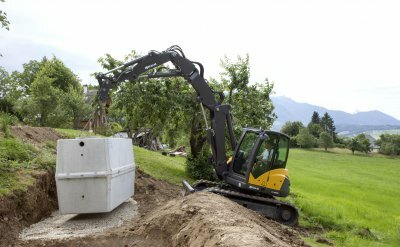 The famous MECALAC-Boom's lifting capacities and versatility allows multible different uses for moving earth, preparing the ground, levelling or transporting pallets. 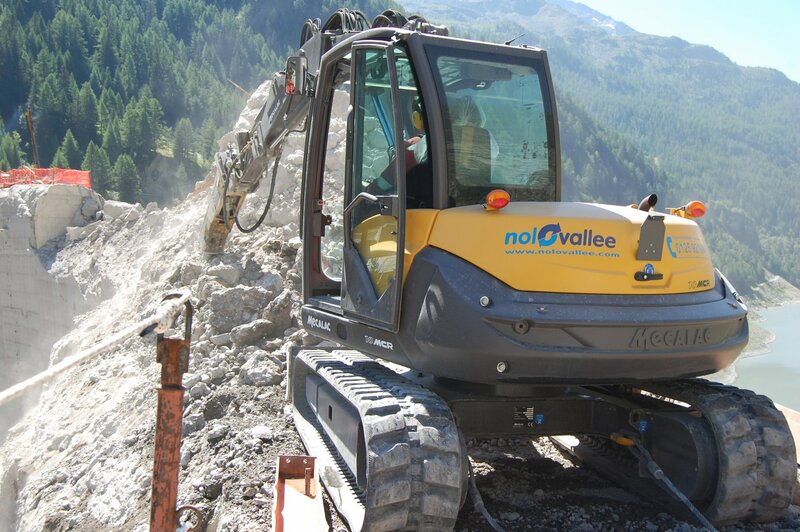 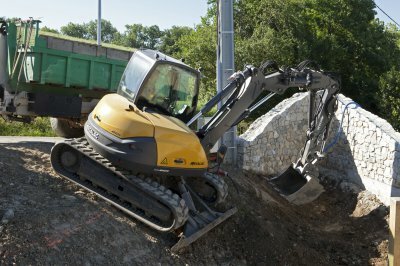 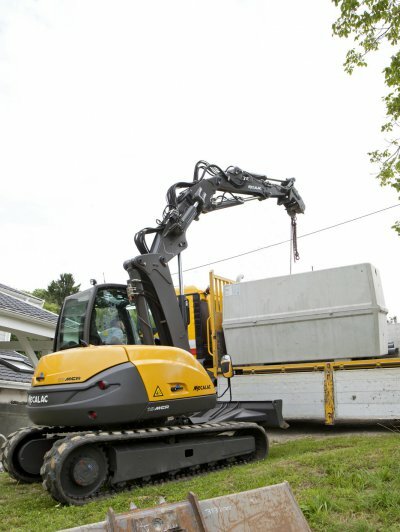 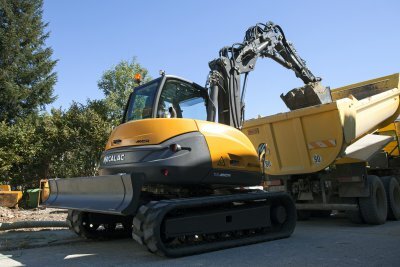 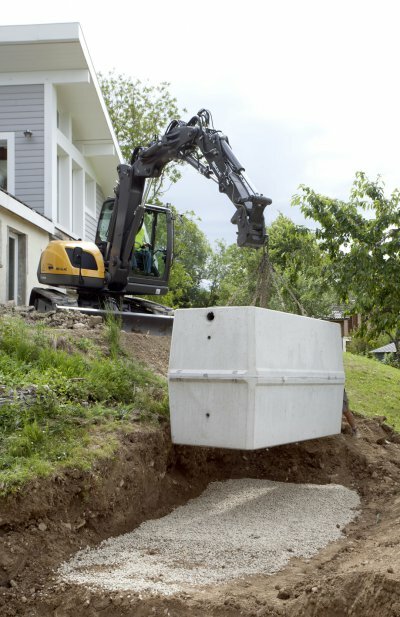 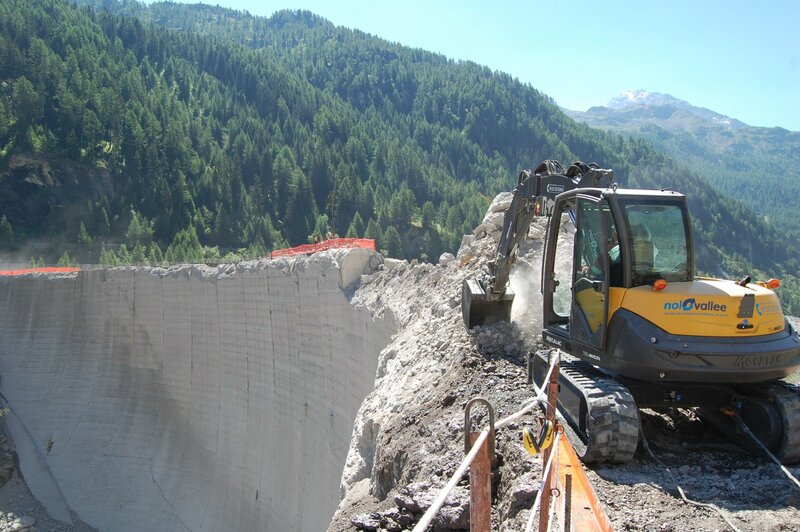 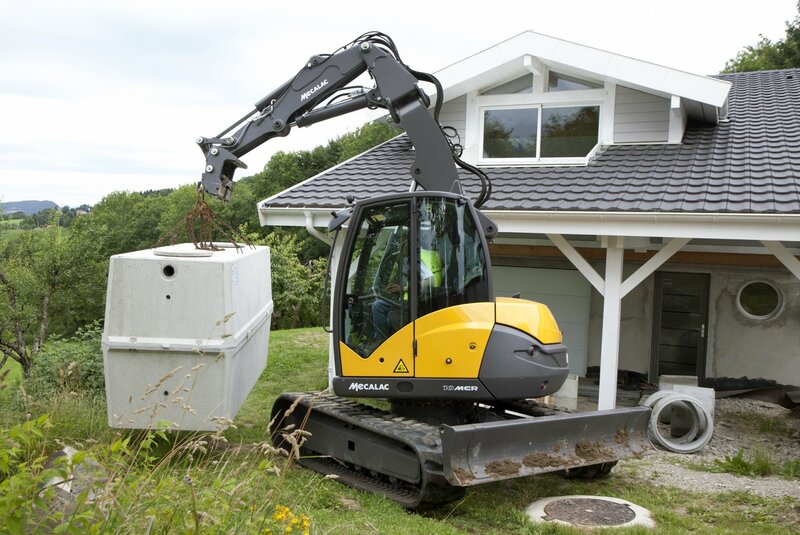 If you need to load or move earth, take up your loader bucket, switch to loader mode and you are at the controls of a compact loader.The potential of the 10MCR can now be utilized to perform the full range of tasks required on site. 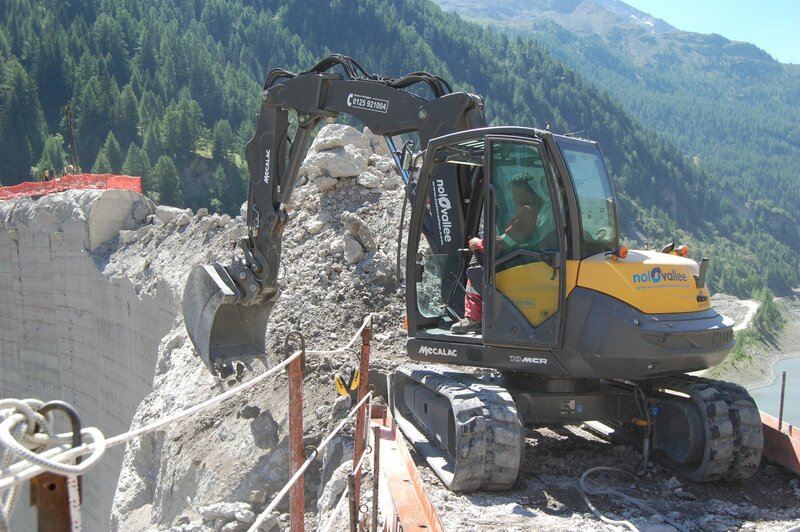 Its performances and power are unrivalled and all MCR-products can travel at unprecedented speeds.